A Sub-regional conference on digital economy has gone underway in Yaounde. A workshop the Secretary General of the International Telecommunications Union, Houlin Zhao, opened at the Yaounde Conference Center yesterday has the potential of positioning Cameroon as the leader that would facilitate the take off of digitalisation of economies in Central Africa, analysts have said. The workshop brought together experts in the information and communication technology sector, leading telecom companies, digital start-ups as well as policy makers from countries in the Central African sub-region. Digitalisation is increasing the GDP of developed countries. Digital technology is also fast tracking economic growth in these countries thanks to its multiplier effect on job creation for the youth, as the Minister of Posts and Telecommunications, Minette Libom Li Likeng told participants. But the African continent seems to be lagging behind. Observers say many applications and software are being made in Cameroon and elsewhere on the continent but little is known about them. It is partly for this reason the organisation of the regional conference in Yaounde has been hailed. Besides creating awareness and providing visibility for digital solutions made in Cameroon, it is also a forum in which experts will diagnose issues that are slowing down the digitalisation of the economy and proffer practical solutions. For instance, Fritz Ekwoge, a Cameroonian youth has created a file transfer app which is currently used by more than two million people worldwide. Ekwoge who is currently taking part in the conference and showcasing his savoir-faire, says he has won many international prizes for his works, but regretted that his products are used mainly by citizens in the developed world. 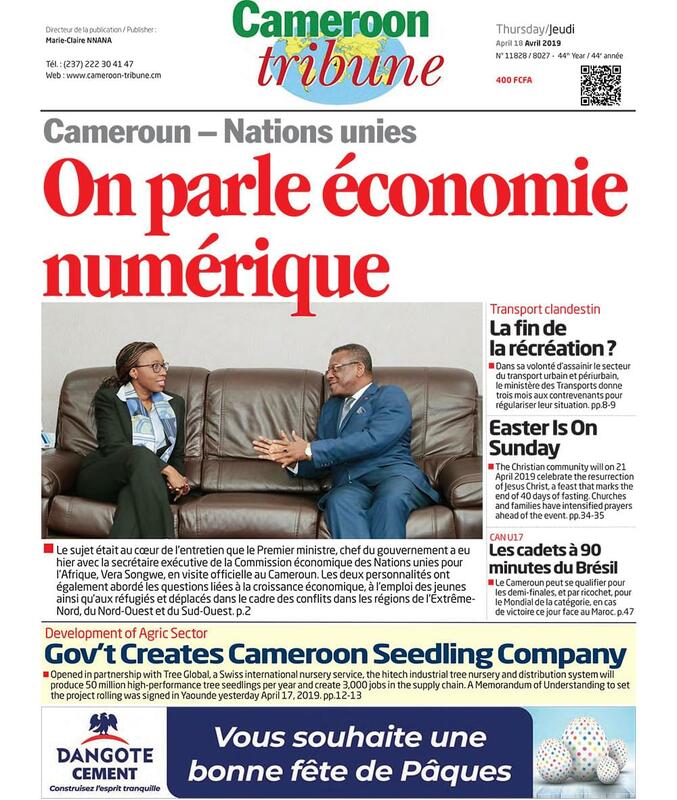 His worry about the low level of digitisation, according to the Director General of IAI, Armand Claude Abanda, could be solved by mass education campaigns that would school Cameroonian citizenry on how to use modern technologies. “If people are not educated on how to use digital software and applications, everything created would be useless to them since they will not know how to use of them,” he said, stressing that mass education should be part of government digitalisation program.